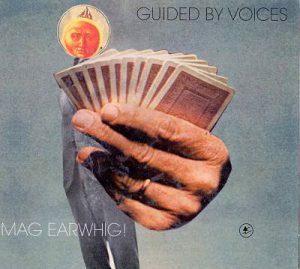 I’m sure it seemed like an affront to worshipers of the lo-fi aesthetic for Robert Pollard basically sack the entire “classic” GBV lineup, recruit an entire new band (made up of Cleveland’s Cobra Verde), and record the majority of Mag Earwhig! in a real recording studio. But to me, the thing I loved about Guided by Voices wasn’t the lo-fi aspect of their music, it was Pollard’s songs, and Mag Earwhig! had a healthy good dollop of his always reliable songwriting, as well as focused two guitar attack that was only previously hinted at. After the twin triumphs of Bee Thousand and Alien Lanes, I was kind of disappointed with 1996’s Under The Bushes Under The Stars. While it was sonically way more consistent that its predecessors, it didn’t have a lot of songs that immediately brought me into the record. In 1995, Jim Greer basically beat every other rock critic ever by joining the band he helped mythologize. 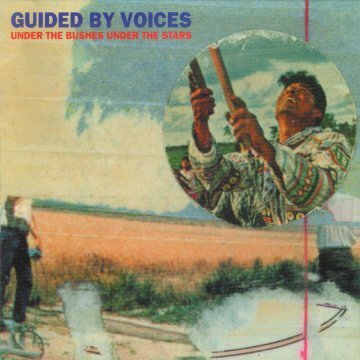 After all, Robert Duncan never joined KISS, Lester Bangs never played with Lou Reed and Dave Marsh didn’t join the E Street band, but after Bee Thousand, Greer replaced Greg Demos as the bass player in Guided by Voices. To be honest, I could probably do a half-dozen songs from Alien Lanes, so just because I’m not writing about songs like “As We Go Up, We Go Down,” “A Salty Salute,” “My Valuable Hunting Knife” or Tobin Sprout’s “Little Whirl” doesn’t mean I don’t love them, it just means that I’m probably already doing too many GBV songs as it is. 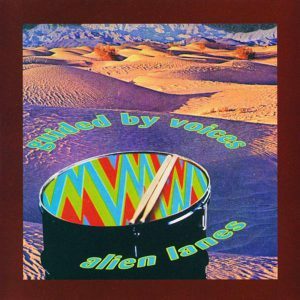 After the electric shock recognition of Bee Thousand, I was way more prepared for the follow-up, 1995’s Alien Lanes, which crammed a completely ludicrous 28 songs into a 41-minute CD. This kind of delicious overkill makes Alien Lanes if not the best Guided by Voices album, then definitely the most Guided by Voices album. I seem to recall somebody somewhere comparing it to The Who Sell Out, and I like that comparison, but instead of mimicking a AM pirate radio station beaming the hits onshore, the experience of Alien Lanes is more like driving your car trying to tune in one of the local college radio stations, only you’re only able to get bits and pieces of each song, until you suddenly zero in on the greatest song you’ve never heard before that you might never hear again.